We are blessed that our church is actually composed of two historic buildings. 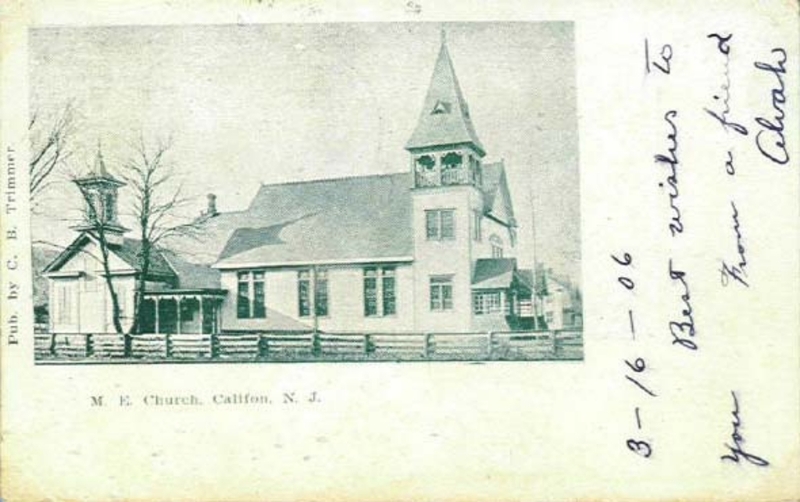 Our original sanctuary, now our fellowship hall, dates from 1824. 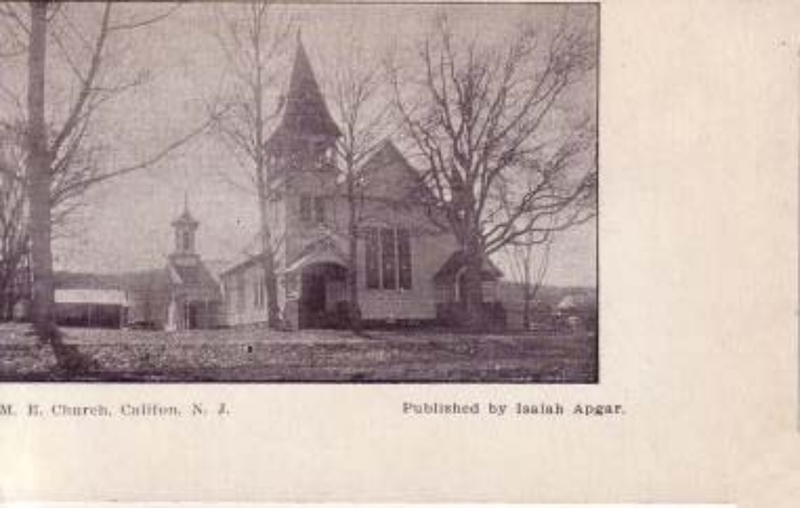 The sanctuary we presently use for worship dates from 1891-92. 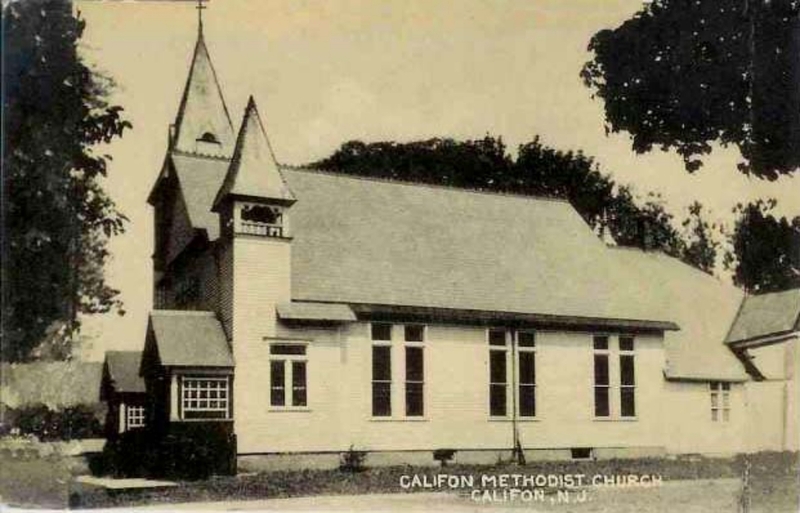 The original 1824 Grove Methodist Episcopal Church was built by a congregation in Oldwick, just over the hill from Califon in Tewksbury Township. It originally stood on James Street, near the fire house. If you visit the site, you can still see a cemetery originally belonging to the church. We recognize the September 1867 dedication of the rebuilt sanctuary as the date of our founding. Learn what happened in the world in 1867. After a very successful 1889 revival led by Rev. 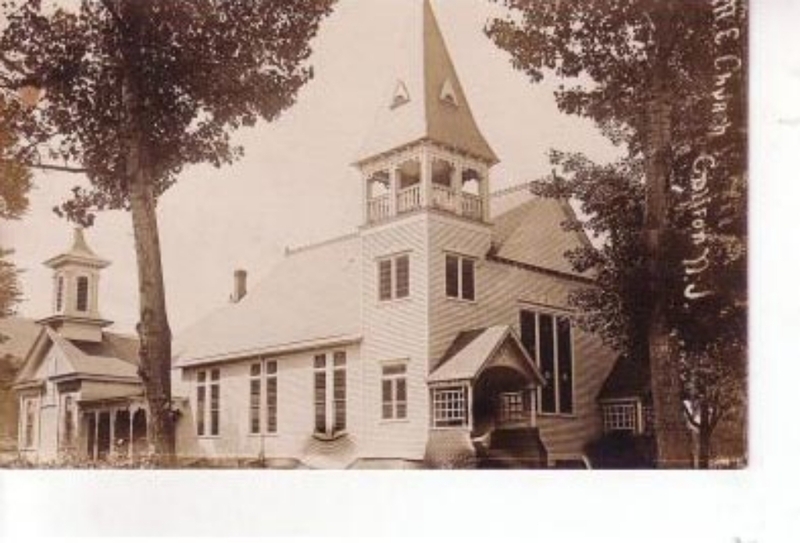 James C. Howard, the congregation constructed a new sanctuary at a cost of $8433.50. The 1824 structure was moved back from the river, turned, and attached to the rear of the new edifice by means of two small intermediate rooms. A Mudler-Hunter pipe organ replaced an older foot-pumped reed organ in 1930. The church was completely restored in the early 1990s as part of the 100th anniversary of the 'new' sanctuary. The organ underwent a major restoration in 2004. It was sold in January 1986.